Our Miami interior design firm adds sophistication to the living room by transforming our client’s vision into an elegant and aesthetically pleasing reality. Customer satisfaction is paramount to our success, which is why we encourage our clients to participate in each stage of the process. Our team of seasoned professionals provides expertise from the initial conception phase to the final installation. “Our emphasis on budget management and scheduling of all activities ensures smooth and successful completion of all interior design projects exceeding client’s expectations,” according to our services panel on our website. We will oversee ordering and tracking of all products, coordination with contractors, delivery, and installation of floor and wall coverings, furniture, light fixtures, etc. and ensure proper maintenance of all objects that are needed for space. Our goal is to create a unique and innovative solution that will be a perfect balance between functionality and aesthetics. 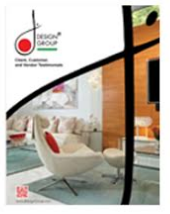 We remain committed to providing the best service to our clients even after design project’s completion. We are committed to providing a high quality of work, which is expected from our excellent reputation in providing an immaculate final product. The living room is one of the most important sections of the residence. This is the location where memories are made, where families pleasantly converse with one another on special occasions and a perfect place to seek refuge after a grueling day. Designing a living room is a complex concept, as it is more than just selecting beautiful furniture, quality flooring, elegant window drapery and detailed wall painting. The living room space must co-exist with the other elements of the residence, which is a design process that our company excels at. Through an interactive process, the client describes their taste and preference, whereby the members of our team then use their imaginations, along with their extensive knowledge of the section of the residence — in this case, the living room — to successfully accommodate their preferences. We work at a competitive schedule, where we fulfill our clients’ orders in an efficient and timely manner. Creating this excellent space for our client, whose guest include friends, family, and coworkers, is just part of the reason why our company has such a fantastic relationship with our previous customers. We take immense pride in our work, and it often shows when viewing the final product. Seeing the client and their friends and family enjoying the final product is like nirvana for our team. After all our arduous work, we present the client with the perfect space and the initial satisfaction on their faces when laying their eyes upon the recently designed space is like payment all to itself. We have done excellent work on our previous projects, such a two-story tower loft Downtown Miami. The two-story tower loft in Downtown Miami was devised for a successful client who values simplicity and expertise. This immaculate apartment was designed to resemble a Zen-like environment, having a sleek, minimalist design, along with stylish and elegant space materials. The entry way into the residence is Asian-inspired, with impressive features such as a garden that has plots of bamboo, beds of river rock, plus a special meditation zone with slate tiling. This entry way sets the mood for the entire residence. The initial impression, before entering the living room, is one of tranquility. The guest is surrounded by these beautiful pieces that show careful thought went into the design of the space for the client. Another excellent project where our interior design agency in Miami added sophistication to the living room was for a modern residence in Coconut Grove, FL. Coconut Grove is known as a laid-back environment. Some of the residences are hippies; most are hardworking professionals. When traveling through Coconut Grove, one is greeted with canopies of trees shielding the person from the bright sunlight. All around the area is more beautiful vegetation, which makes living in the area feel like a refuge from the fast-paced city lift in Miami. For instance, when driving through Coconut Grove, one often sees peacocks sauntering from one place to another. Occasionally, traffic down the roads will be halted for these peacocks who slowly cross the street with the other members of their tribe. Having these beautiful surroundings, along with a fantastic living room is a marriage of opulence. The living room for the residence takes these concepts in mind, as it has a minimal design, and in the room, while sitting on the furniture, wide windows provide a view of a leisurely outdoor environment. 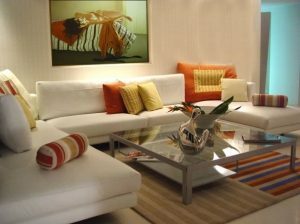 Our Miami interior design company consistently adds sophistication to the living rooms of our customers. We accomplish this task by transforming our client’s unique visions into an immaculate and aesthetically pleasing reality. While performing these Miami interior designer services, we encourage our customers to participate in each step in the process, as their satisfaction is paramount to our success. Our team has ample experience designing some of the best properties in the South Florida area. We can confidently claim that we are the best interior designer in Miami as our track record certainly lends credibility to this claim. For more information on how our company adds sophistication to the living, or for other services that help create the perfect living arrangement — for commercial and residential clients — we recommend reaching out to one of our skilled customer service representatives. To speak with a knowledgeable and efficient member of our team, please call (305) 444-4611.